Click on the following image to see the power point from our March 19th event - In Commemoration of the International Day for the Elimination of Racial Discrimination! Commemoration of International Human Rights Day - Click on photo to see more photos! Visit our facebook page to see video by Paula Simons! The Cannabis Act: Sensible Reform of Canada’s Cannabis Laws or Prohibition 2.0? Here is the audio link from our event! Happy Listening! 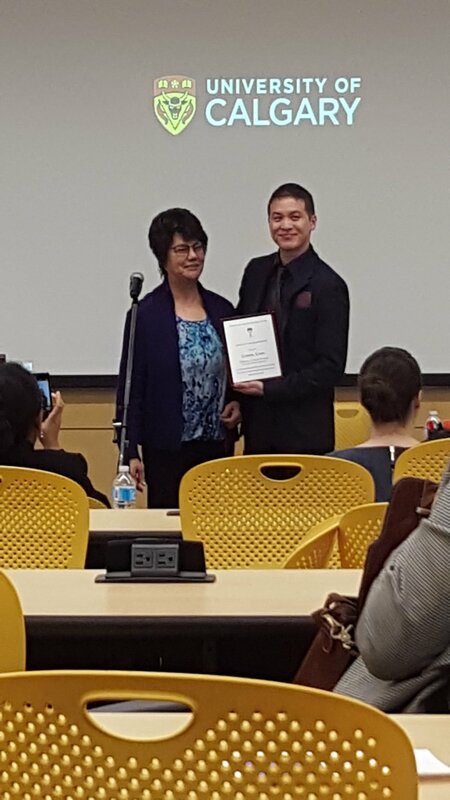 Aboriginal Peoples in Alberta: Consultation and Sustainability - Click on photo to see more photos! 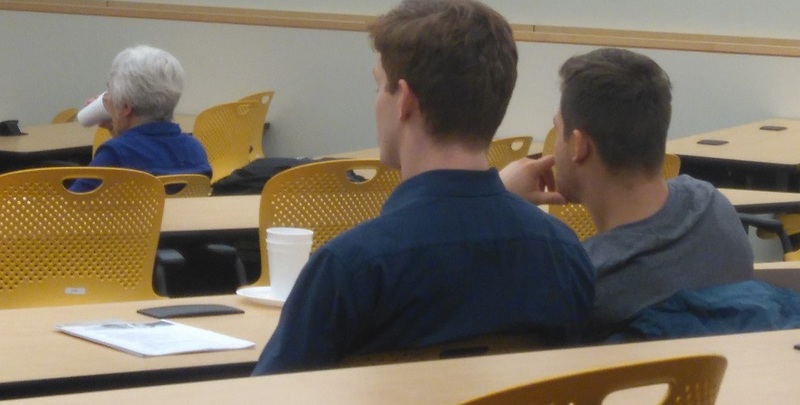 Click on photo to see more photos from our and RMCLA's event: Religion and Health Care! Memories and click through PowerPoint from our 35th anniversary and International Human Rights Day! Memories from our Power of Words: Impact of Hate Speech in Alberta event on October 17, 2017. Click on photo to see more photos!!! 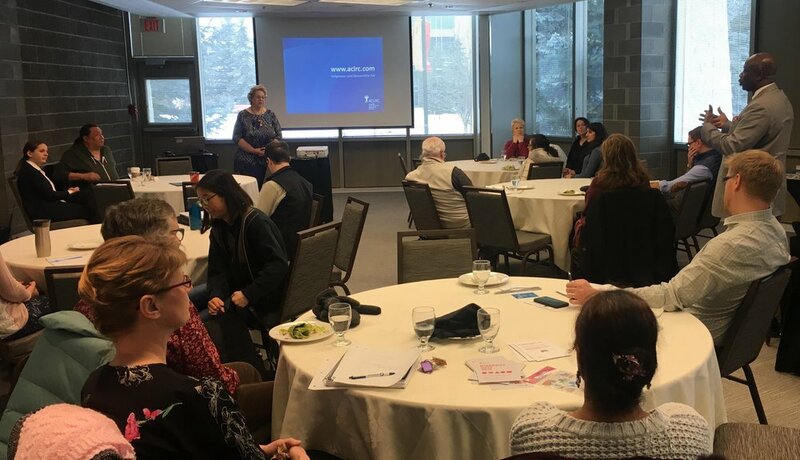 CLICK through our slideshow for powerpoint presentation from Power of Words: Impact of Hate Speech in Alberta event on October 17, 2017! 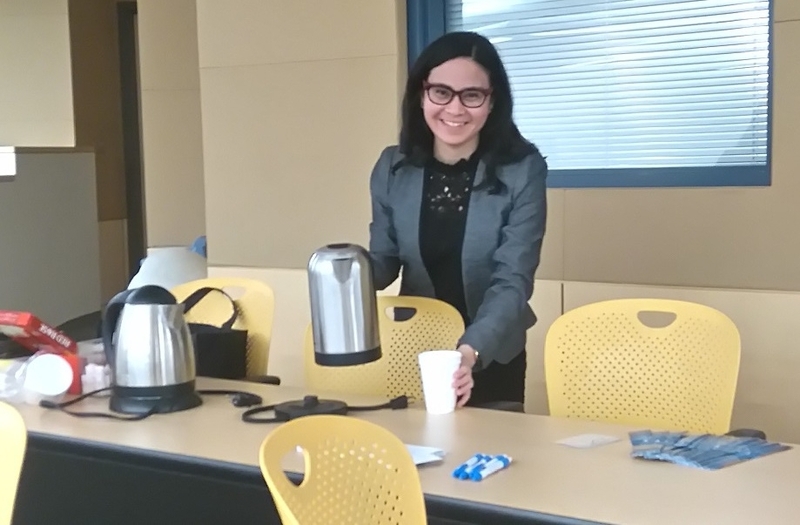 CLICK through our slideshow of memories from our Commemoration of International Day for the Elimination of Racial Discrimination event on March 21, 2017! 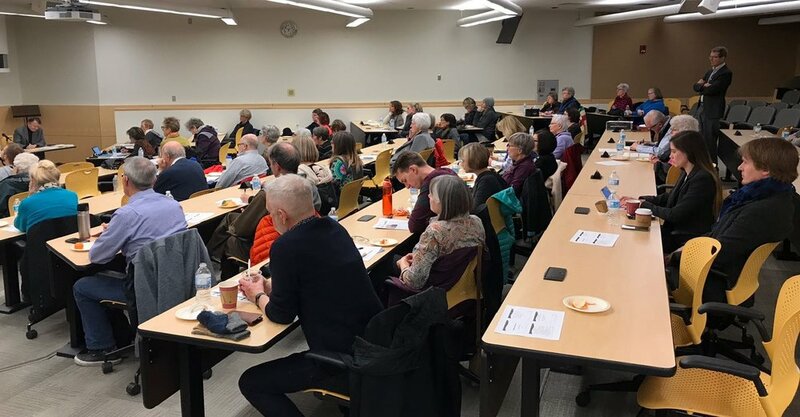 CLICK through our slideshow of memories and power point presentation from our Human Rights and Accommodation event on March 20, 2017! 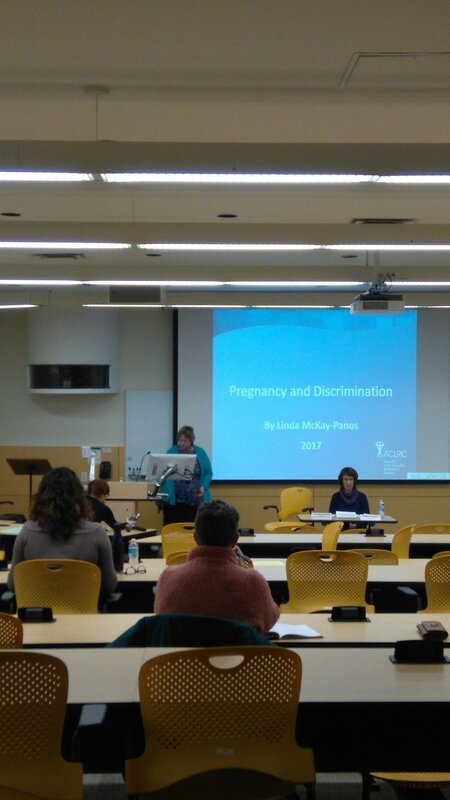 CLICK through our slideshow to see photos and the PowerPoint presentation from our Pregnancy and Discrimination event. Below is a link to audio recording: Happy Listening! Memories from our Annual International Human Rights Day! WE WERE IN THE NEWSPAPERS TOO! "Often, people who don’t want to give Syrian refugees shelter have never met a Syrian. Or a refugee. Often, people who think Muslims are terrorists have never had a conversation with a Muslim. Don’t you think it’s time we all met? March 22, step into Adnan, Nazeer, Sara and others' actual shoes and hear their stories." 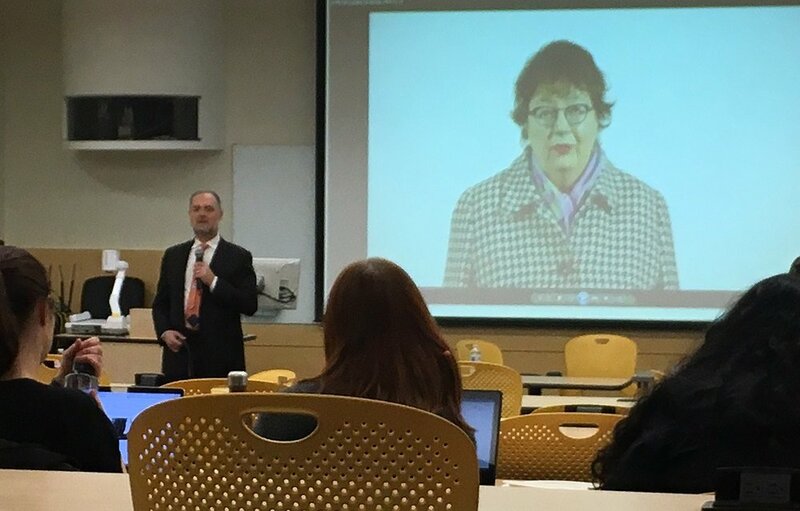 Ms Micheal Vonn Policy Director of British Columbia Civil Liberties Association gave information on Bill C - 51 and Data Analytics, followed by question and answer session. We enjoyed light snacks. Here is a link to the recording: Happy listening! This year we celebrated International Human Rights Day dedicated to Canada's refugee plans specially for Syrian refugees. Cassie Palamar gave official greetings on behalf of the Alberta Human Rights Commission. Janet Keeping, ACLRC Board Member, presented Kelly Ernst with the Civil Liberties Award. Congratulations Kelly! 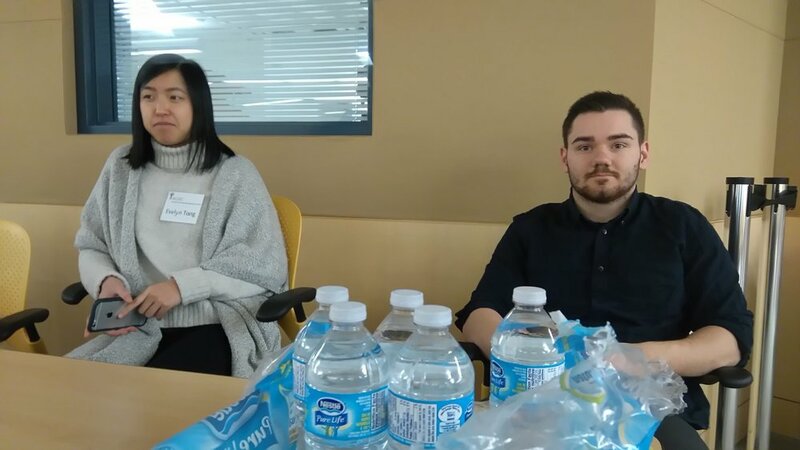 Kerry Cundal and John Yee both gave speech and presentation on today's topic: NOWHERE TO RUN: IS CANADA MEETING ITS INTERNATIONAL REFUGEE OBLIGATIONS? We enjoyed light snacks and cake to round out the evening. What is the impact of Bill C-51 on racialized minorities? What are the flaws in the Bill? What are alternative ways we could address radicalization and terrorism in our society? How do we address the seemingly strong acceptance of Canadians of this bill? How can Canadians learn about the bill and and its impact on all Canadians? How can we have a constructive dialogue around this bill without feeling fearful or unpatriotic? Over 55+ people attended and the panelists also responded to questions from the floor. The audience was engaged and were able to ask their own questions to the panelists. Thank you to the everyone involved in the event and our volunteers - Auska, David, Jason, and Katy. What are the reasonable limits on free expression in the context of religious criticism? Edmonton Chambers will be faced with this question on February 20, 2015 (this date has been postponed to January, 2016). The American Freedom Defence Initiative (AFDI) has launched a suit after the City of Edmonton’s transit authority pulled its advertisements from city buses after receiving complaints. The ads directed Muslim women and girls living in fear of so-called “honour killings” to contact AFDI’s website. AFDI maintains that its ads sought to assist Canadian women and girls, and promote gender equality and the rule of law. Edmonton residents who complained called the ads “discriminatory” and “offensive”. A 3-person panel: Sarah Burton, LL.B., LL.M., ACLRC, Ola P. Malik M.A., LL.B., LL.M., City of Calgary and Geoff Ellwand, J.D., LL.M., Ruttan Bates, Former CBC Producer & Reporter discussed the scope of free expression in Canada and the reasonable limits that can be imposed on it. The audience was engaging and the panelists responded thoughtfully to the question posed by the moderator Linda McKay-Panos. This year we celebrated International Human Rights Day by showcasing our Human Rights Education Program. It's been 20 years since it's inception! Starting with one Human Rights Educator and now with a team of Educators - Melissa Luhtenan (Calgary), Pamela Dos Ramos (Southern Alberta & Calgary), Yessy Byl (Northern Alberta) and Brenda Johnston (Calgary). Each Educator highlighted our newest publications, DVD's, programs and online resources. Sarah Burton gave an overview of our new website. Cassie Palamar sent official greetings on behalf of the Alberta Human Rights Commission. Doreen Barrie, ACLRC Board Chair, presented Martha MacManus with the Civil Liberties Award. Congratulations Martha! We enjoyed light snacks and cake to round out the evening. On Monday, October 13, 2014, Dr Kathleen Mahoney, QC, FRSC presented a talk on Democracy and Freedom of Expression: Threats and Challenges in the Internet Age sponsored by ACLRC and the Intercultural Dialogue Institute. The event was well attended. We'd like to thank our co-sponsor and CSJW for recording the event. The human genome is our common bloodline and our future. As geneticists continue to explore life at its molecular level, the challenge for geneticists, ethicists, and lawyers is to ensure that ethics and law keep pace. We must also ensure that the fruits of such research are applied without prejudice for the benefit of those who are living and those yet to be born.